I forgot my password and I'm locked out of my account. 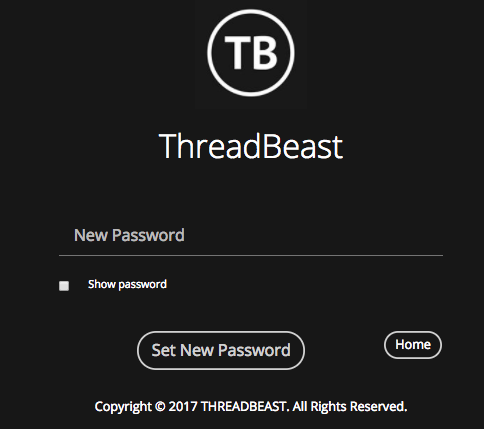 Step 1: Click the following link http://my.threadbeast.com/#/forgot and enter the email address associated with your ThreadBeast account. You can also click on the button below. 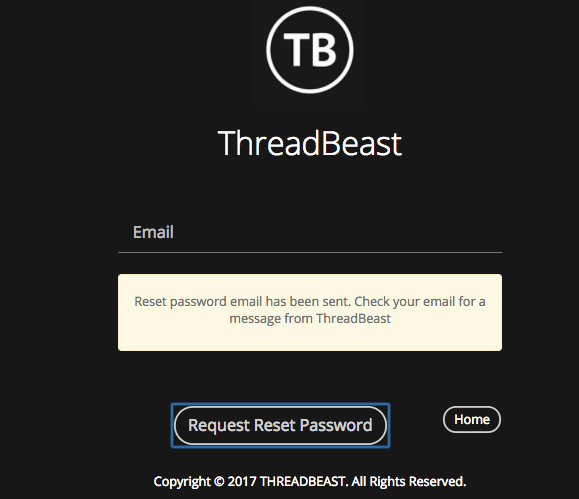 Step 2: Once you click "Request Reset Password", you'll receive a reset password link to the email address associated with your ThreadBeast account. If done successfully you'll receive the following confirmation message shown below. Step 4: Please enter your desired password and click "Set New Password". 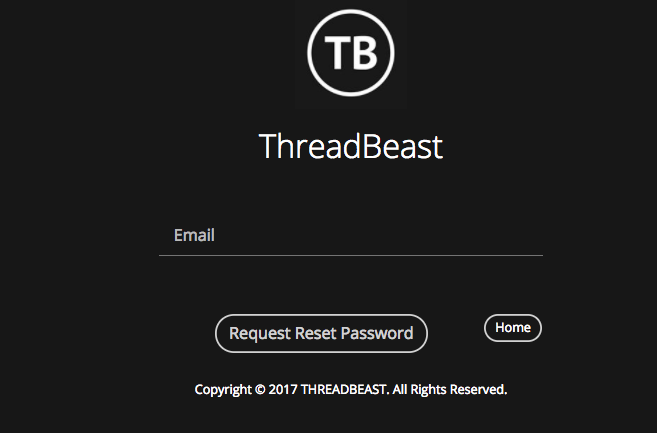 Once clicked, you'll be redirected to your ThreadBeast home page!